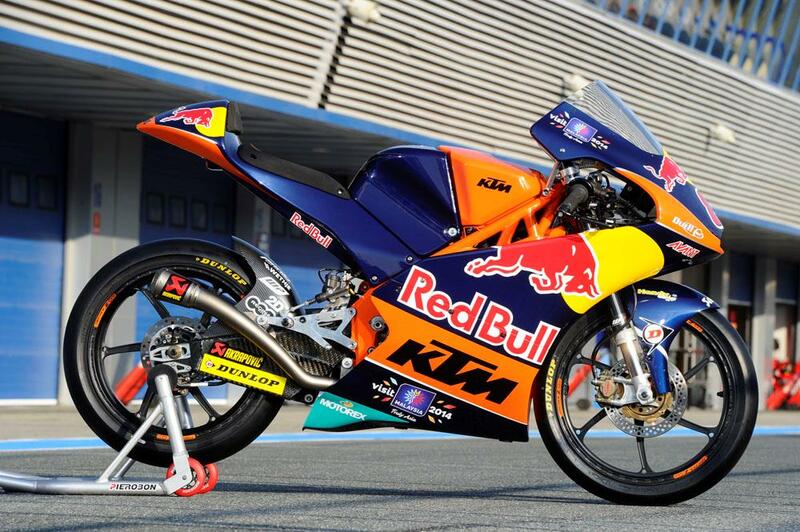 KTM has already kicked off its factory Moto3 assault for 2015 after testing next year’s factory bike in a behind-closed-doors test at the Almeria track in Spain recently. MCN has learned that Tarran Mackenzie, the 18-year-old son of triple BSB champion Niall, who competes in the National Superstock 600 series in Britain, was involved in the first test of the 2015 KTM not long after Jack Miller’s opening race triumph in Qatar. Dakota Mamola, who is the son of four-times MotoGP runner-up Randy, was reportedly also asked to give his impressions of the new KTM, which features an all-new engine and chassis package.